Installing solar window film on your building can reduce energy costs, increase the level of comfort for your occupants, and improve the overall aesthetics of the building. If you are looking to add solar window film to your business we can help. It’s no surprise that the biggest heat gains come from buildings windows. 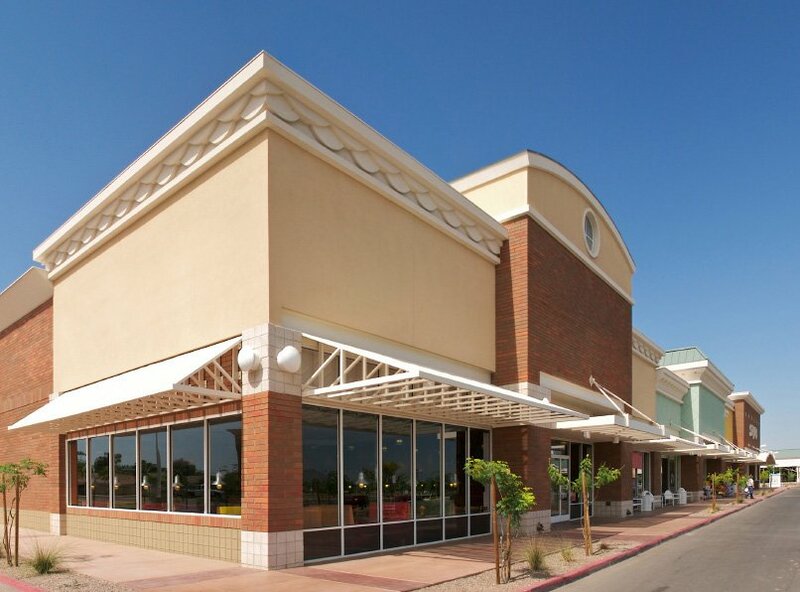 Consequently, commercial buildings in Arizona are full of windows. This allows for great views of products and scenery but can put a strain on building HVAC systems. Even if the glass doesn’t get direct sunlight it still radiates through. This is magnified in downtown Phoenix where the sun bounces off nearby buildings and glass. As a result, you get increased glare and eye strain. Window glare can reduce comfort, customer satisfaction, and employee productivity. Adding solar window tint to your business can alleviate these problems. During the summer, solar window film rejects up to 80% of the heat coming in through your windows. Therefore, adding solar window film to your building can significantly reduce your electric load and improve the overall comfort in your building. We have a variety of window films that can reject heat on your commercial building. Furthermore, most of our commercial window tint films have warranties between 10-15 years. If you are looking for a professional commercial window tint company near you, give us a call and schedule an appointment. Decorative window film can be used for privacy or design purposes. They’re easy to customize and some films are reusable. Similarly, there are etched decorative films and patterns with endless possibilities. 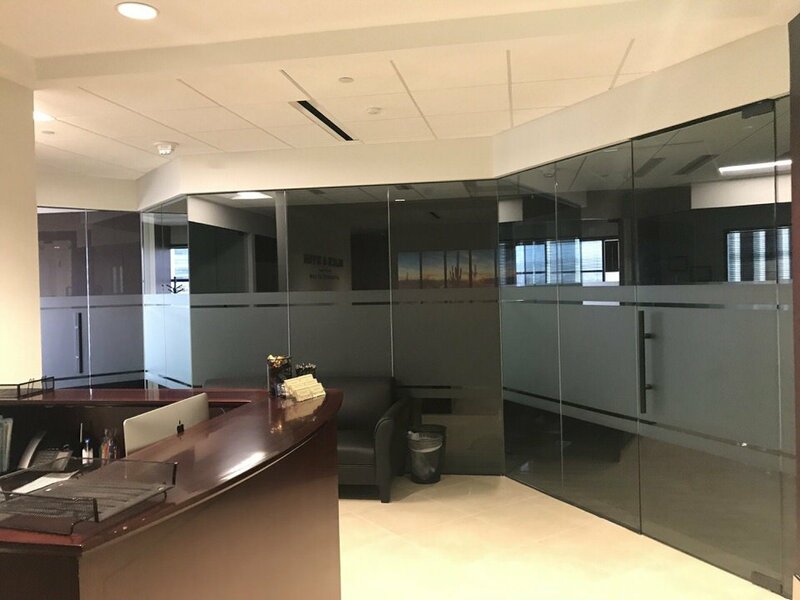 A decorative film can be used on doors, glass partitions, or windows. Furthermore, we carry a decorative line with thousands of premade, high-end, designs in vinyl and window cling. As a result, decorative window film is an easy retrofit to upgrade a room, building, or office. Give us a call to discuss your project. We can go over all the decorative styles and design options to create something that will fit your needs. Safety and security film is a useful tool in fighting vandalism. 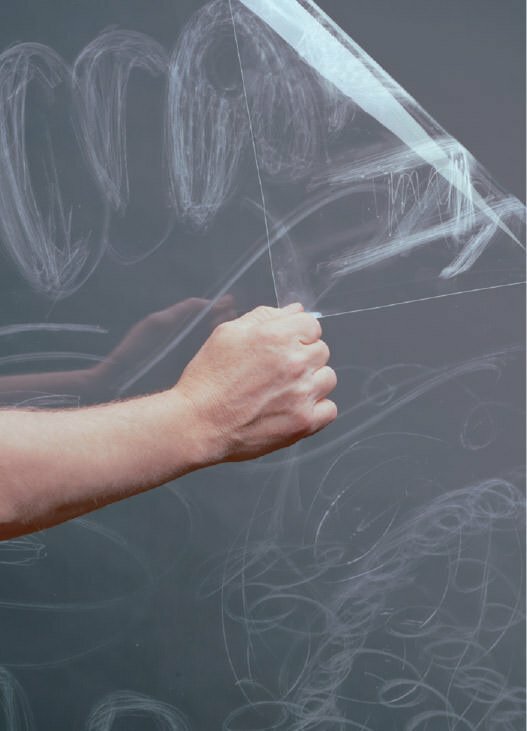 With our anti-graffiti film we can protect a wide range of glass in areas that are prone to being vandalized. Even more, our anti-graffiti film can protect the glass from glass graffiti, scratches, and acid etchings. This sacrificial barrier is less expensive than replacing glass.